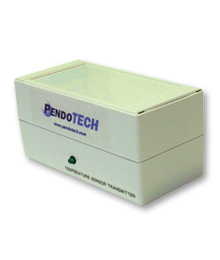 PendoTECH’s Single-Use Temperature Sensors™ enable a highly accurate temperature measurement. 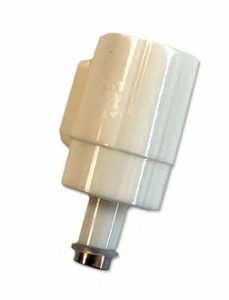 PendoTECH Single Use Temperature Sensors are extremely sensitive to temperature changes in critical in-line bioprocess applications. Accuracy is verified during manufacturing so no calibration is required. 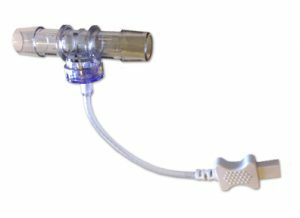 The sensors are available with either a hose barb fitting, which is engineered to prevent pressure drops and dead-legs, or a luer fitting for lab scale development applications. Cost-effective enough for single-use applications and robust enough for re-use and compatible with gamma irradiation. There is a handheld monitor with an LCD display and transmitters that phacilitate integration to control systems. 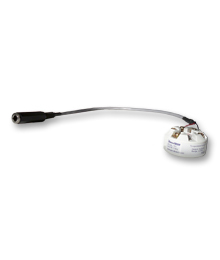 PendoTECH Single Use Temperature Sensors™ measure temperature in your processes accurately and cost effectively. They are low cost for single use applications and may be repeatedly cleaned and re-used. They are perfect for bioreactor, filtration and chromatography processes, filling operations, and general process monitoring. These sensors connect to monitors via a reusable cable. Suitable monitors include the handheld unit TEMP340, the PendoTECH Process Control System, or other pre-qualified third party monitors. Also, a 4-20mA stand-alone transmitter is available. For laboratory use, there is a benchtop transmitter that can connect to data acquistion systems. 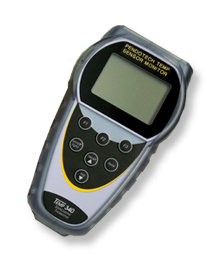 They are the perfect solution for use with tubing measurement applications. 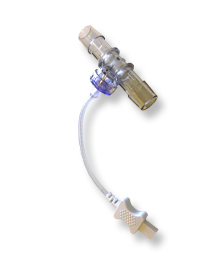 To optimally adapt to tubing, the sensors are available with either a hose barb fitting or a luer fitting. Tubing can be secured directly to the hose barb fitting and the hose barb design imparts no obstruction on the fluid path that can cause a pressure drop and there is no dead-leg at the point where the temperature is measured. 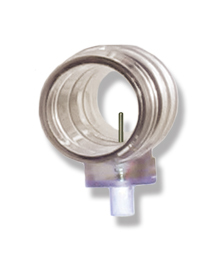 The luer fitting can be connected to a variety of fittings that can securely adapt to tubing or other devices. A disposable dip probe is also available to measure temperature within a vessel. The temperature sensing element is a thermistor. No calibration is required because the temperature versus resistance for the thermistor element is well-defined within the specified accuracy range and is verified during manufacturing. Within the instrument, the measured resistance is converted to the temperature. * Luer sensors for research purposes only and not designed for use in manufacturing processes. Polycarbonate connector for luer sensors that may contact a fluid path is not tested for USP Class VI. Dip probe not tested for USP Class VI; stainless steel not applicable. The hose barb sensors connect to the monitor via a 10-foot (3.0m) long reusable cable. One end has a molded connector to connect to the sensor connector and the other end has a 1/4 inch headphone plug commonly used by many commercially available monitors. The panel M1 connector (1 foot) on one end also has a molded connector and the other end has an industry standard M8 connector. The luer sensor has a custom molded connector on the 7-foot (2.1m) long re-usable monitor cable that is quickly secured to the temperature sensor. There is an alignment guide on the sensor that prevents it from being connected improperly. Disconnection of the cable connector from the sensors is quick and easy and the monitor indicates the sensor has been disconnected. There is also a convenient transmitter device available that enables the sensors to be integrated to PLC or control system by a 4-20mA signal.